TVOC filter set solution 28630320 https://www.kaercher.com/ae/accessory/tvoc-filter-set-solution-28630320.html Effective TVOC filter set for our AF 100 air purifier. Reliably eliminates volatile organic compounds (VOCs) such as formaldehyde from the ambient air. The TVOC filter for our AF 100 air purifier is used particularly in freshly painted and newly furnished rooms as it reliably removes harmful gases from the ambient air. These gases also include formaldehyde, which is classified in category 1B "can cause cancer" by the Federal Environment Agency and can generally be found in plastics, furniture, floor coverings, disinfectants and textiles. In addition, its use is also advantageous in offices that are equipped with an extremely high number of photocopiers and printers. 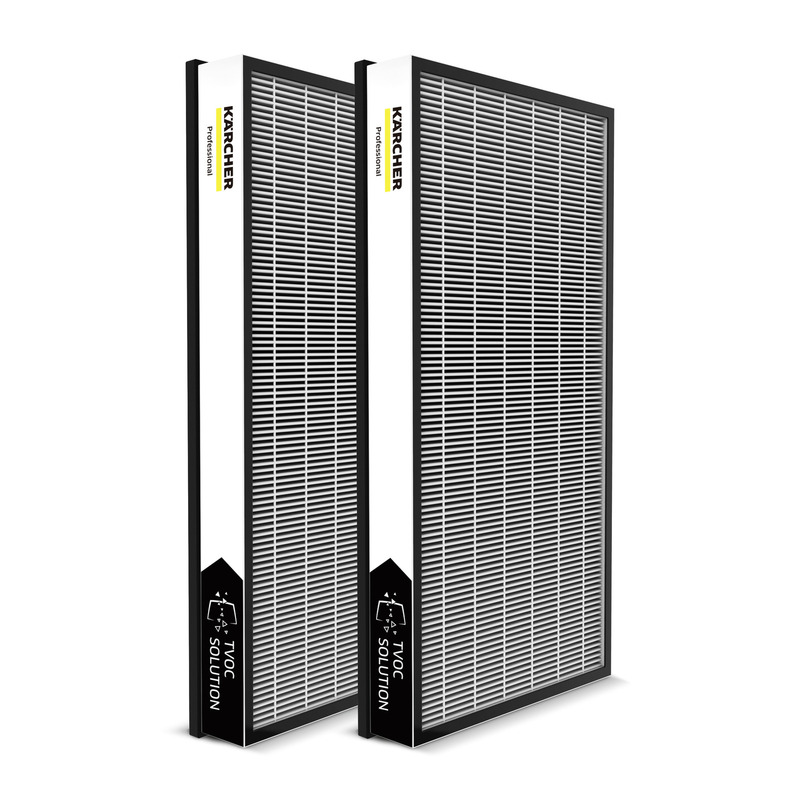 Other filters are available for the air purifier for other special requirements. Natural activated carbon filters volatile organic compounds from the air. The excellent sealing of the filter also reliably holds back formaldehyde.